Osman, a young student, obsessed with a magical book that discusses the nature of love and the nature of self. He neglected the home and family, abandoning his studies, and then do a search secrets meaning that is more mysterious than the book. 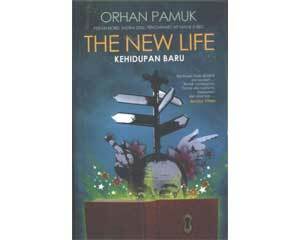 Half the travel novel, half fairy tale thriller, The New Life is the fastest book sold out in Turkish history. Displaying all the wit and flexibility typical of Pamuk, this beautiful novel reminds us of a nation that vacillate between East and West.